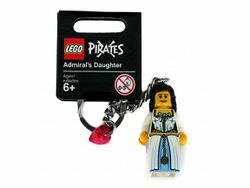 852711 Admiral's Daughter Key Chain is a Pirates key chain released in 2009. It includes the Admiral's Daughter. This set is identical to 4560059 Admiral's Daughter Key Chain. Facts about "852711 Admiral's Daughter Key Chain"
This page was last edited on 9 January 2016, at 23:56.